It’s impossible to sum up the last few days in a short list of words but here’s a few that come to mind. Shocking, disbelief, riveting, paralyzing, tragic, maddening, painful, tearful, mournful, sorrowful…definitely not all the feelings I’ve experienced. Acts of terror in this country have become the norm in the normal. We sit, we wait, and hope that it doesn’t happen to close to home. And then…it does. Your town, Orlando…you are like every other town in this country. You haven’t been any more immune from these senseless acts of violence than any other American city. And yet. This is why we, Americans, grieve beside you. It could have been here, it could have been my loved one, my friends, my community, centered in my hometown. We see and feel your pain. We sympathize for you, take a deep breath and sigh in the not if, but when. We are not immune. I’m sorry it was you, I’m sorry for all the lives lost, people injured, lives forever changed, all people affected. You didn’t deserve it, none of us do. It’s an incomprehensible unnecessary act of violence that will forever be imprinted in our hearts and minds. We will not forget. During such horrible events we all have our way of handling our reaction and feelings. You may choose to vocalize your thoughts out loud, or perhaps throw yourself into a project for distraction. It may even be you avoid seeing or hearing the news as a constant reminder. Me, I head to my kitchen. A kitchen is often thought of a haven for those of us who find the solace in its escape. My kitchen did not disappoint Sunday. It rose to the occasion and proved that there really is healing to be had in food…both physically and emotionally. This favored process of mine worked on your behalf too. I came up with a super simple, yet savory dish. This recipe was nothing more than pulling from the pantry and freezer but it provided the comfort I needed and is tasty enough to share with you. Try it out and share some with your neighbor. More love, tolerance, and compassion. 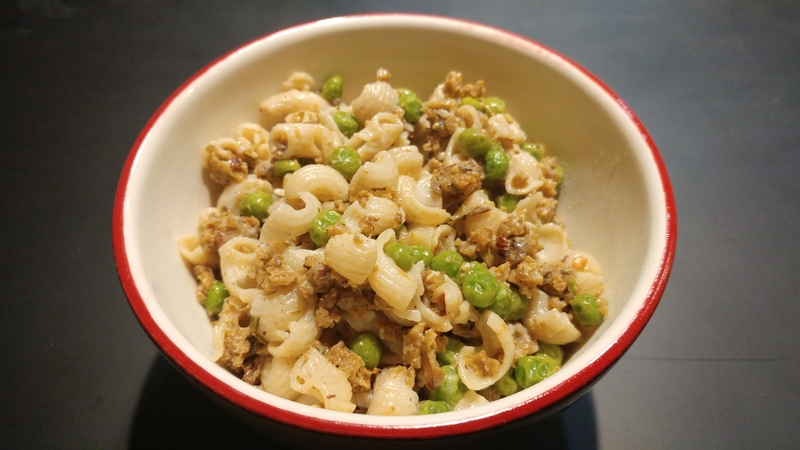 As a child I had my share of hamburger helper and this dish brings back some fond memories. 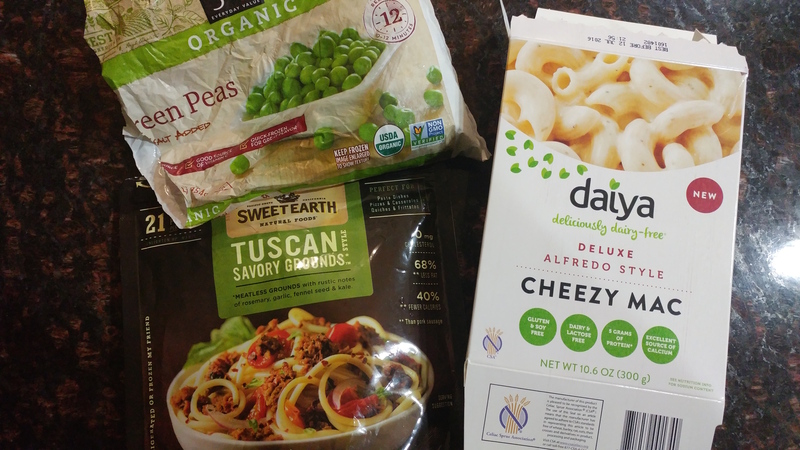 I'm guilty of using packaged food in this recipe but I've upped the adult flavor with my add-ins. Don't judge! Prepare Cheezy Mac per box instructions. Add the frozen peas into the pasta water in the last 1-2 minutes of boiling. Drain pasta/peas and continue to follow boxed instructions for sauce. Meanwhile, prepare Savory Grounds per package instructions. Once the Savory Grounds are heated and slightly browned, add them to the pot with the Cheezy Mac. Add the red chili flakes and s&p to taste. Stir to combine. VEGAN SURPRISES AT CLARK FOOD & WINE CO.